While Sydney is busy pricing itself, out of reach, savvy property investors have turned their attention 150 kilometers away to the north, more specifically to Newcastle, a burgeoning region that once firmly established itself in coal and steel. From a lifestyle perspective Newcastle certainly has the goods, which means it is an attractive location to live and therefore invest in. Not only this, but often property investors can purchase larger blocks of land than would be available in Sydney, and for a much lower price point. 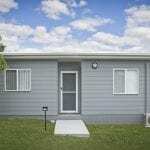 Many investors capitalize on the larger blocks and add granny flats to these properties to increase the yields. Newcastle’s median house price of $530,000 compared to Sydney’s $1.07 million has already attracted significant interest from Sydney-based investors. Median house prices are forecasted to continue rising by a cumulative 12 per cent by June 2016, or around four per cent per annum, to a median price of $550,000. The State Government’s recent input of $6.55 billion investment mandate has brought to light new development projects for the region. This has raised the confidence within the Newcastle property market resulting in a rush of investors. The Government’s support has prompted the private sector to take more investment risk. For property investors who want to invest in a more cost-effective property, that still has excellent returns, Newcastle is appearing to be a solid element of a property investors’ financial strategy. Buyers Agent’s, Property Solutions 101, recently published a great article showing ‘apples with apples’ comparisons of properties in Newcastle and Sydney, with Newcastle clearly coming out on top. The affordability element of Newcastle is really drawing in the property investors, who also look to increase the yield on their property through the construction of a quality granny flat. They can be confident that the lifestyle of the region will ensure their properties are constantly occupied for a fair market rent. Backyard Grannys Managing Director, Alex Mitchell, said that they were seeing a marked increase in interest from property investors, who have given up on Sydney and instead purchase property in Newcastle. “Investors have realized the opportunity in Newcastle, where their investment dollar can go further and provide them with a higher return. By investing less capital on the purchase of a property they can afford to increase their yield by building a granny flat”, Alex said. He added that they’ve seen yields as high as 19 per cent but typically most investors who build a granny flat will make a 15% return on investment (ROI). It’s clear that the harbour city of Newcastle used to just be an industrial powerhouse, but now it’s reinventing itself to be the real estate hot spot in New South Wales. 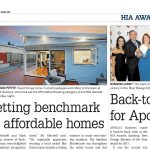 Backyard Grannys is a multi award winning, Newcastle granny flat builder with a custom-built granny flat showroom and an ever-changing range of granny flat display homes. The team are able to provide examples of what is possible. If you would like to know more, please get in touch by calling 4947 2800 or click here.